USDJPY is under the influence of Flash Manufacturing PMI, Merchandise Trade Balance and Tertiary Industry Activity for today. The support lies at 108.890 with resistance at 110.750 which both are below the monthly pivot point at 112.590.This is a consolidation pattern from 107.600 which is not completed yet. The MACD indicator is in positive territory signaling the pair growth and the RSI is above the 50 level confirming the same scenario. Stochastic is showing some price expansion as well. 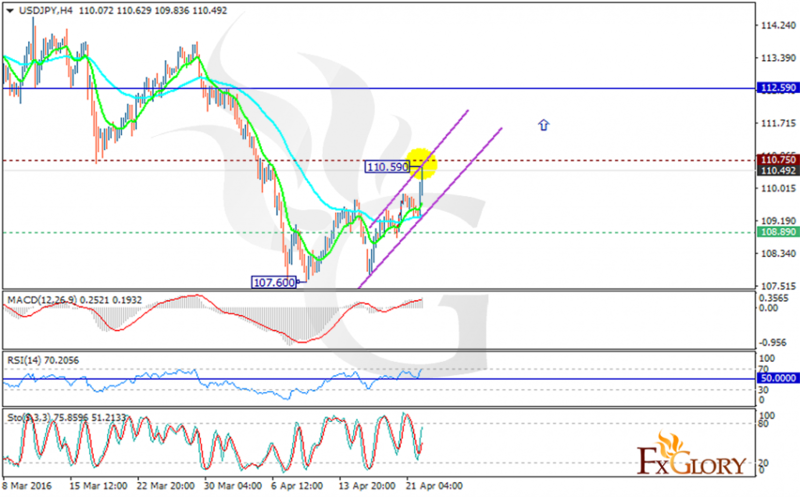 The resistance breakout will push the price higher targeting 110.60 level.